Mr. Reynolds joined Bullock Mannelly Partners in 2013 as a Managing Director, specializing in industrial leasing, retail, development and brokerage services as well as land brokerage. Mr. Reynolds has an extensive background in the location and relocation of major facilities and expertise in the design and allocation of incentive packages. 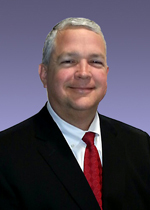 He has over 20 years of experience in economic development and in working with local governments. His efforts have resulted in $3 Billion in new direct investments over his career working with companies such as Google, the American Red Cross, Quaker/Pepsico, and others. 1997-2010 Development Authority of Douglas County, GA.